Youngsters can explore the weird and wonderful world of science through a superhero comic as the North East looks ahead to a major event. With funding from Newcastle University, Lydia Wysocki and Paul Thompson, of Paper Jam Comics Collective, are creating the one-off publication in the run-up to the British Science Festival in the city later this summer. 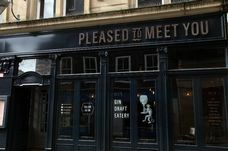 “Science is serious stuff, but that doesn’t mean it has to be communicated in a serious or dull way,” said Lydia, whose business is based on Grainger Street in Newcastle. “Some kids won’t choose to read a science book if they’re given the choice, but they will pick up a comic because they are attracted to the format. That makes it a powerful educational tool. The comic will also attempt to explain globally significant scientific research under way at Newcastle University. Lydia, the editor-in-chief, said: “Science includes the study of themes that are so epic they go beyond research journals and textbooks. We want these themes to leap off the pages of comic books and into the hearts and minds of children. ”We spoke with scientists about the beauty of thinking about their work in terms of epic themes. “Take, for example, robots; space, time and travel; codes, ciphers and hidden messages; explosions and danger; and matters of life and death – talking about the fun of doing science is also a way of showing how scientific research has an impact on the world around us. “By exploring these themes in a comic we can show that imagination and knowledge coexist, and in doing so, we hope to inspire and enthuse the future generation of scientists, writers and artists. Lydia and Paul have sought the help of scientists, artists and writers, getting offers of help from as far away as Saudi Arabia and the US. Big names to have added their talent to the project include Nigel Auchterlounie, writer of Dennis the Menace for The Beano, well-known comic book artist Terry Wiley and Kate Brown, writer of The Lost Boy in popular comic The Phoenix. Along with other amateur and professional artists, the comic draws on expertise from a bank of scientists from Newcastle University, one from Northumbria University and one from the University of Glasgow. 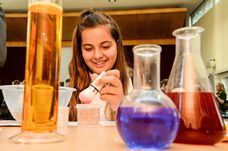 As well as helping young people to understand processes, there are ‘how to’ guides based on healthy eating, combating tooth decay and even rocket science. Paul, a writer and artist, is the technical brain behind the project and said the merging of science and art was surprisingly easy once the teams came together. He said: “Real science is integral to the comic. It’s in there, inspiring storylines, but also in the use of the medium – for example altering the page-reading order to describe ideas about time travel. “One of the things that really amazed me about the comic is the number of different approaches our creators have come up with.